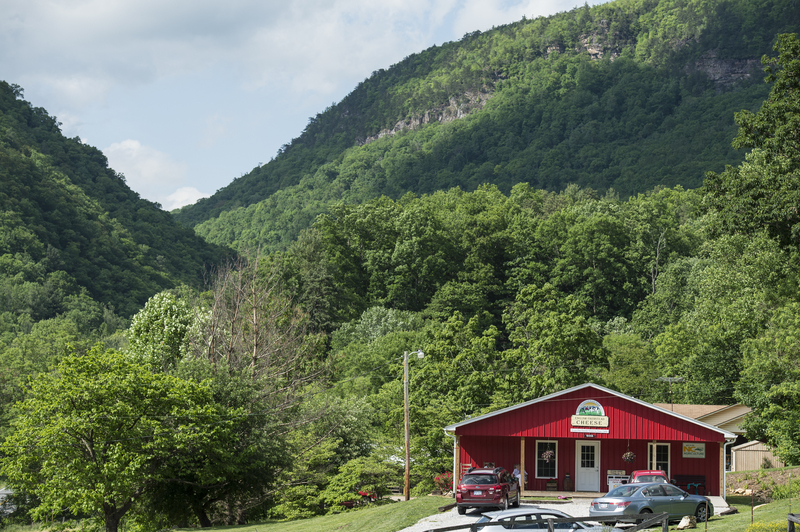 Located on US 221 North only a short drive away from both Asheville and the NC high country, our farm store offers a variety of farmstead cheeses and local fare. The name “farmstead” denotes that our cheeses are made from milk produced on site. In fact, the milk from our cows travels only a stone’s throw to the farm store, where it is crafted into a variety of hard cheeses and soft cheese spreads. Please see our calendar for store hours and for other special event scheduling. Please note that from July to October demand for our cheese is very high and we often sell out at the farm store. Try to plan your trip as early in the day as possible for best selection.